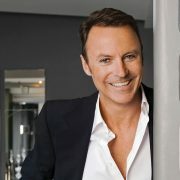 'saratoga living' Design Editor Colin Cowie takes on entertaining during the season. 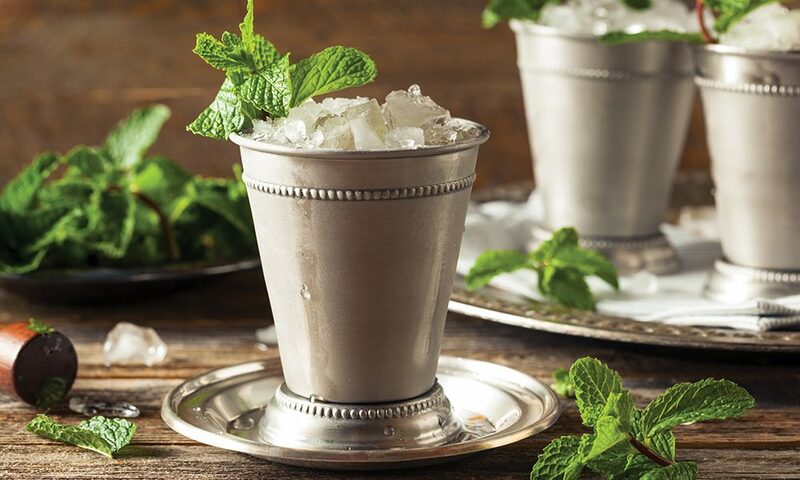 The mint julep is a popular horse-racing-themed party cocktail option. I have traveled more than 14 million miles on behalf of my clients, I’ve been fortunate enough to constantly find inspiration from cultures and traditions all over the world, allowing me to bring new and exciting elements to my designs. I put a lot of effort into the timing and flow of events so that the guest experience is seamlessly constructed from beginning to end. 1. You’re hosting a cocktail or large house party at the height of racing season. Do you think a horse-racing theme is too cute or kitsch? I love a good theme—it allows you to have a big picture that will help you edit the final look and shape all your creative decisions. Name tables after the top-rated horses, use miniature horseshoes as napkin rings, use silver trophy cups as floral vessels and, to really make it fun, have the guests arrive in glamorous horse-racing attire: guys in ties, girls in pearls. For a daytime party, hats are mandatory! And, your cocktail du jour is a fresh mint julep (yes, even in Saratoga). 2. If you’re hosting a baby shower for your sister-in-law, how do you make it memorable for her? Take into consideration what she likes—her favorite colors, what she’s craving right now and, hopefully, if you know whether it’s a boy or girl, you can run with a colorful theme. Ask her if she’d like it to be girls only or if it’s OK to invite the boys to join a little later for the stronger cocktails. Get creative and serve drinks out of baby bottles, fold a napkin like a diaper and use a safety pin with a label as guests’ name cards. Perhaps you play a game of “guess the gender,” “guess the name” or some other fun baby trivia. 3. What’s the best way to ensure a mistake-free, cost-effective, memorable wedding? Hire a professional wedding planner to help you. You’re creating the single biggest event of your life and need to make sure you look good in the process. A trusted professional will happily and expertly help you navigate the journey, alleviate stress, find the right creative partners for you, identify the venue and manage your guest list and most importantly—your budget! 4. What are the last four things you should do before your guests arrive at your dinner party? 1. Turn down the lights and light the candles. 2. Crank up the music. 3. Put on a new outfit; freshen your makeup and fragrance. 4. Open the door with a smile wrapped two-and-a-half times around your face—and, action!